Jordan has held numerous positions in the sports industry. He has occupied roles with World Wrestling Entertainment, the CFL and MLSE. Jordan spent 2 and a half years with the CFL as their Manager of Partnerships, before leaving in 2006 to fulfill the role of Manger of Corporate Sales with MLSE. 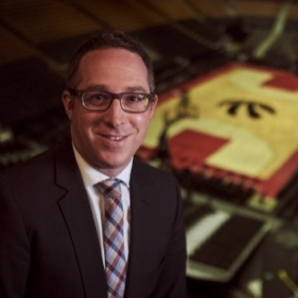 Jordan has had many roles at MLSE, and has stayed with the organization for the last 12 years. He is currently the Head of Global Partnerships, and has occupied this role for 2 years.